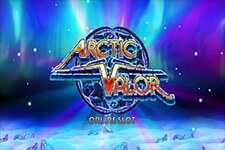 Microgaming’s many studios have released yet another delightful slot for us to sample. The theme of it is quite simple – War! You have various pillagers, warriors and sorcerers scurrying about, trying to make off with each other’s loot and your end-goal is to make sure you’re the one that comes out on top. The slot’s graphics are cartoony and relaxed, which makes for a much more laid back approach to war-time than more realistic visuals, so we’re rather pleased with that. 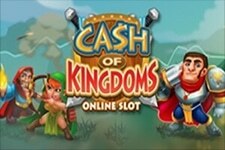 Cash of Kingdoms is a 5-reel video slot with 15 fixed paylines. 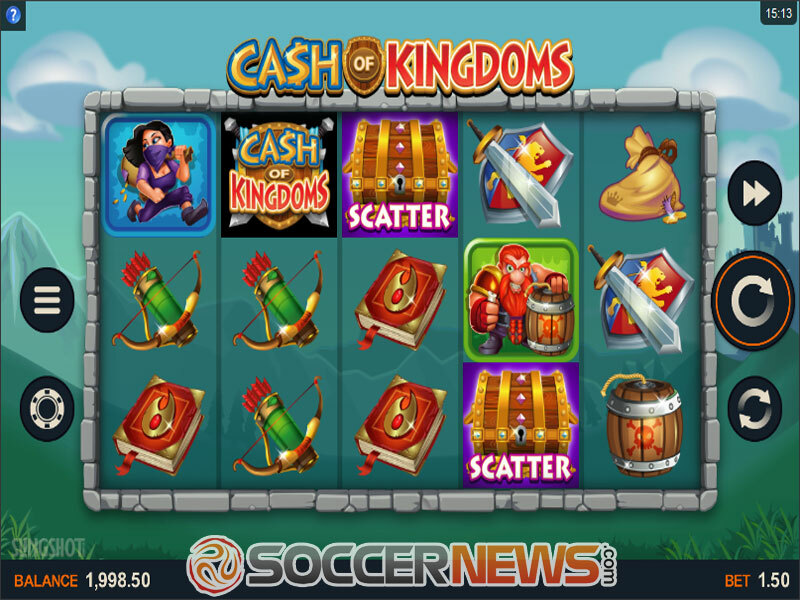 The game can be played on both mobile and desktop devices and allows players the thrill of seeing a stack of Wilds not only appearing and securing solid wins, but also spreading to other places on the reel. And when you activate free spins, you also unlock a 2x multiplier, as well. Logistics are the most important part of any army – just as much as the soldiers and the battle plans themselves. As such, you must ensure your army is well supplied and budgeted if you hope to carry out your plans for conquest and success. 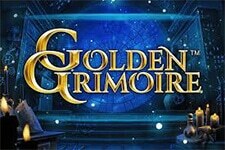 The game’s coin denominations range from $0.01 up to $1, with a possibility of having 32 coins per one payline. This means the lowest wager is $0.15, while the highest bet is $480 per spin. Credit where it’s due, this video slot does away with playing card symbols in entirety, which is something we’re immensely grateful for. Instead, lower paying symbols are a knapsack, an explosive barrel, a bow and quiver, a spell book, and a sword and shield. Higher paying icons are the people who use the aforementioned tools to fight. The knapsack using thief, the dwarven bomb expert, the elven archer, the mysterious sorcerer and the human knight. 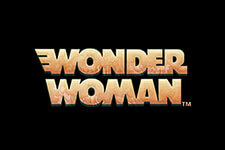 The game’s logo is used as Wild. Wilds can only appear on the second, third and fourth reel, and can replace any symbol except Scatters. Wilds can appear stacked on the second and fourth reel during normal gameplay, and can appear super-stacked during free spins. If a full reel of Wilds occurs on the second or fourth reel, those Wilds can spread onto an adjacent reel, which is the only way you can get Wilds on the first and fifth reel. During free spins, a full Wild stack on the second and fourth reels at the same time guarantees that the third reel will turn Wild, which also activates a 2x multiplier. 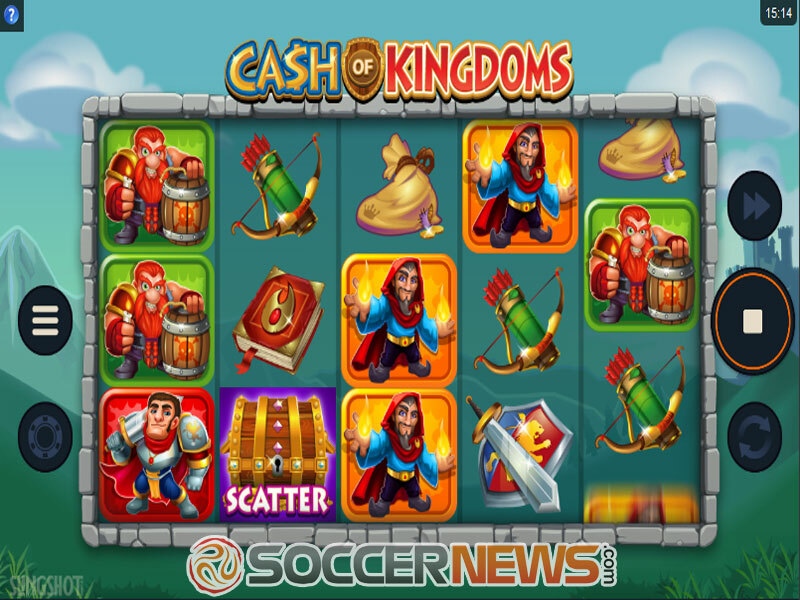 Free spins are activated by collecting three Scatters at the same time on the second, third and fourth reel. 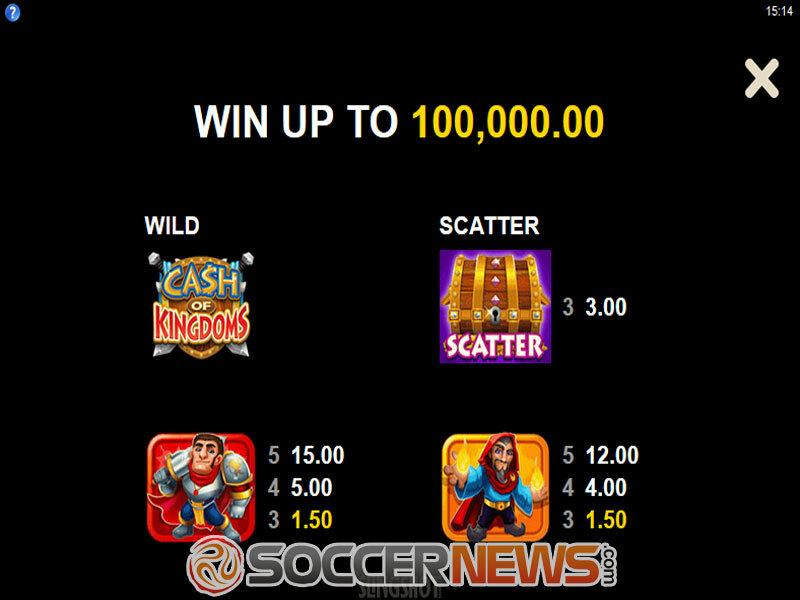 Each Scatter rewards one more free spins while the bonus is already active. The game is a low volatility offering with an RTP of 96.28%. 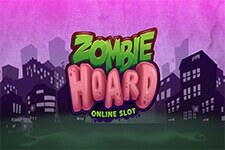 Find the game at any of Microgaming-powered online casinos. Place your wager and hit the Spin button. Fight with the other kingdoms for your place in the sun. 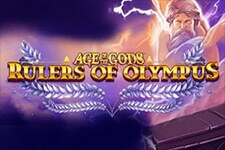 Win a jackpot worth 230x the wager. 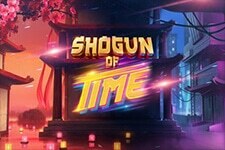 "We were actually eagerly expecting this title, as it is the first release of Slingshot Studios partnered with Microgaming. For the first title, we have to admit, they knocked it out of the park. While the graphics weren’t quite what we wanted, everything else was amazing, and we can’t wait to see more new titles from this studio."